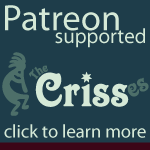 Explore a newly discovered "trigger" with the Crisses. What is it about conformity that disturbs our system? Where might it come from, and how is the trigger applied to our current life in the business world? How is the trigger serving us? Trigger warning: This episode discusses a trigger, and mentions cults, cult criteria, mention of possible coersion in childhood abuse and sexual abuse situations, how that applies to participation in adult group settings. Mentions adult women's groups and circles, etc. We may use harsh, rude language or even curse in this episode.